Website localization -Tips and Peeves | Language Solutions Inc. These tips and peeves for website localization or website translation, as it is also known, can be used for any size company. We’ve seen the good, the great, the bad and the ugly. This article is useful for web designers, IT folks, corporate marketers, usability testers, and just about everyone else who may be involved in the design/redesign, maintenance and ongoing content creation in their website. TIP: Let’s start with the language gateway – this is the entrance to your website for that speaker of another language. Lots of debate on this topic but overall, it is best to put a dropdown with the selection of languages for the user to choose. PEEVE: The website that leaves those languages in the dropdown in English… Translate those language names! A speaker of another language is drawn to the printed form of their language. It’s in the brain and they can quickly scan a page of a website to see if their language is represented. Make it easy to spot, quickly to find, and accessible to click. You only have that user’s attention for a short time so take advantage of the route of engagement. Here is an example of how Nestlé does it. 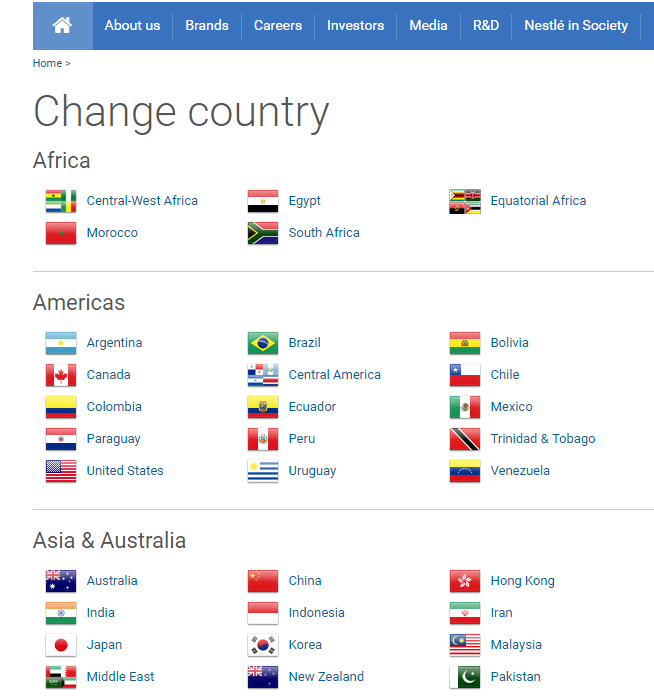 They allow you to change country but in doing so, they only show the flags of the country and the English name of the country next to it. Flags however, are not synonymous with language so better to use the language name – in that language. There are other issues when you decide to use flags as well and John Yunker of Global by Design writes extensively on this. You can read more about those issues and Apple’s usage of the flag on this post. TIP: If you’re going to have your website localized into another language, then go all the way. That means you do all the text within images, the navigation, the links to articles, etc. Don’t leave some things in English! If you do want to leave News articles in English, then alert the reader to this. Add in the translation afterwards (In <language name> only). Acknowledge to the reader that if they click on it, it will take them out of their language. Be kind. Don’t frustrate the reader. You only have them for a short time so take advantage of the way they view and navigate around your site. Here is an example of how the Jet Blue Spanish website does it right! 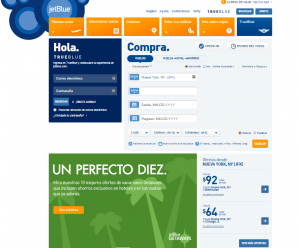 Notice even the ads on the lower right are localized into Spanish. At first, your “English” brain might be drawn right away to the English on the page. Do you see it? See how fast your eye is drawn to that??! 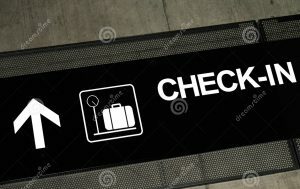 “Check-in” is in English but that’s because it is a term that Spanish speakers recognize here in the U.S. and have adapted and use. 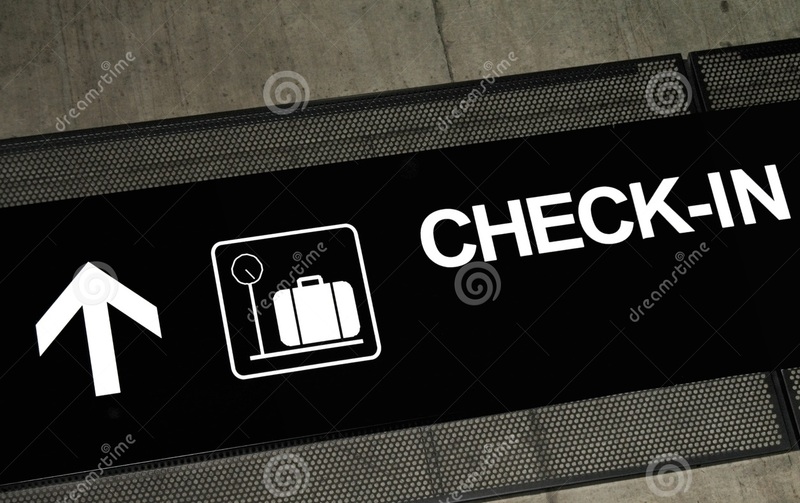 It’s also a term that is very prevalent on signage in the airports so it’s important, especially in the U.S., to take into account what may be seen on signage here and how it is used. TIP: If you’re going to localize your website into another language, make it relevant for that reader of that language. So what does relevance mean? It could mean a lot of things depending on the nature of your website and content. Do some usability testing. Bring in a group of people from that target market and have them go through your website. Ask them what is relevant to them and what is not. Maybe it’s the contact info. It doesn’t provide a local contact for them. Maybe it’s the News section. Maybe it’s the imagery that you use. Are the colors or images appropriate to the specific culture or language you are working in? Do the people represented look like them? What is relevance worth to you? The user is only on the website a short time….engage, engage, engage…. PEEVE: The designer or marketer has not even considered that what may be relevant to an English speaker is not even relevant to someone that is from another culture. Hope you enjoyed these 3 tips and peeves and will consider them if you decide to do a website translation project for your company, client or your business. Want to read more? 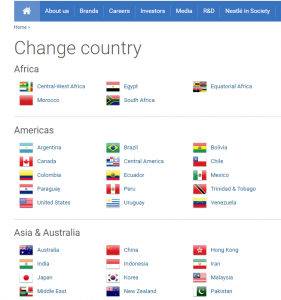 Here’s a few more articles for you to consider with your next website localization project. Need a partner for your next website localization project? Give us a call or send an email and we’ll have a talk…let’s figure out your options, first steps, last steps, and all that’s in between.